Keep It Warm + Cute with These Plus Size Cold Weather Must Haves! Wondering how to stay warm without sacrificing your style? We are sharing with you our top picks with these Plus Size Cold Weather Must Haves! Are you freezing? Has the cold weather gotten to you yet? As temperatures drop across much of the United States, it is time to start bundling up (if you haven’t already). Wait. Does your car have ice on it, in the am? I sit THAT cold where you are? 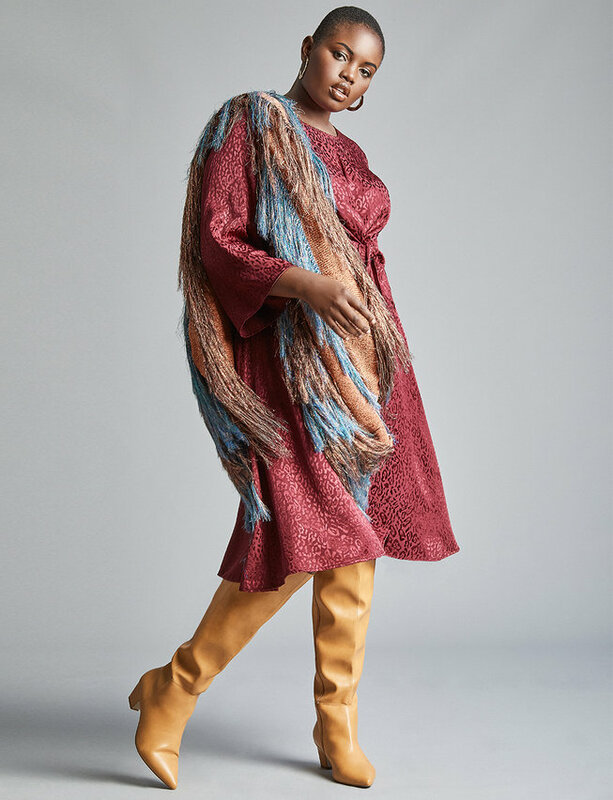 As you are adjusting, the question on our minds (and other curvy fashionistas) is how to stay warm without sacrificing your style! So to help you keep it cute and to stay warm, we thought to share with you our Plus Size Cold Weather Must Haves! We are trying to live, not catch a cold, and still be cute! Such a conundrum- right? Right. Have you even started to ready your car for this weather? If you are anywhere outside of the west coast, winterizing your car is essential. Shout out to Mechanic Shop Femme for this dope checklist! So many … check out a few of our cold weather essentials and a few places to get them! First things first – your coat. Since you will likely spend a great deal of time in your coat, it’s best that you make an investment in finding one (or three) that you love. Let it be your statement piece for every outfit. One classic option is the pea coat. Especially in neutral tones like black, brown, and navy. Find a wool blend pea coat with nice details, and you are good to go just about anywhere, from the workplace to a night out on the town. Or you could swing the other way with a statement coat in a fun and bold pattern tat you will love all season long. One that speaks to your personality and flair! 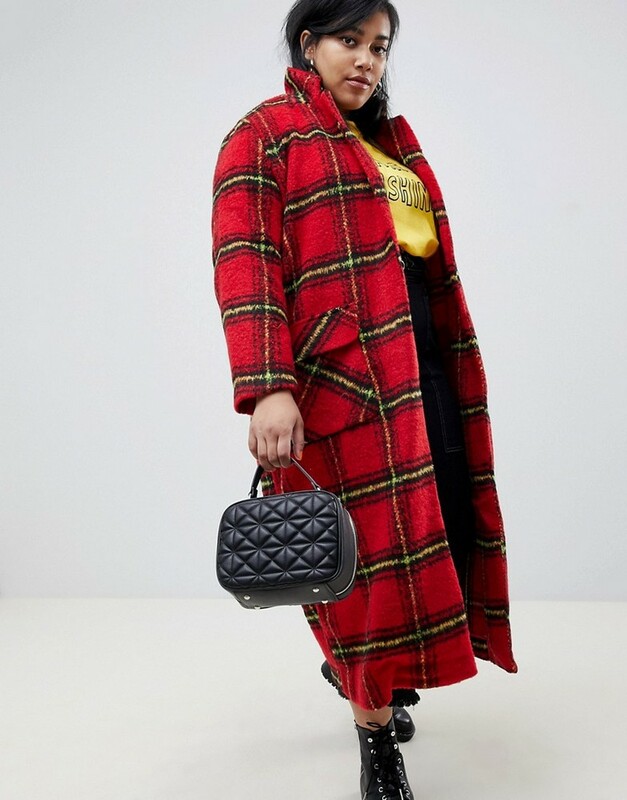 Check out Our Plus Size Coat Guide, Our fave NON Black Winter Coats, and our favorite plus size puffer Coats! You knew it was coming, right? Not only are these a must for trekking through the snow, they are pretty much the perfect complement to most outfits that you will find yourself wearing during these cold months. And there are so many cute wide calf boots to choose from that you should have no problem finding a couple of pairs that fit your fashion sense and your budget. We love boots that reach close to or over the knee. Pair them with socks, stockings, dresses, skirts, or jeans – either way, you’ll look cute and smart. Check out where to shop for Wide Calf Boots, 35 Wide Calf Boots to rock for the fall, and more boot posts here! No cold weather list would be complete without scarves. These accessories do more than keep you nice and warm; they can also be part of your entire look. Get the right scarf, and it can actual turn a blah outfit into something really fun and sassy. Not to mention, there are several different ways to style them. You can use one scarf and get several different looks out of it! Check out this graphic from The Fashion Spot! If you don’t have an over-sized sweater or sweater dress in your wardrobe, you seriously need to go out and get one. Or ten. Seriously, you can’t go wrong with wearing one any day of the week. They can be worn plain or dressed up with a scarf, a wide belt, leggings, jeans, or just about anything else you can think of. I just did a major roundup of these but tights and hosiery is a MUST. In order to play in your winter dresses, you have to make sure these are properly stocked up! Fishnet, argyle, playful patterns and hues, tights are both fashionable and functional for the winter! Check out our 20+ Places to buy Hosiery Here! If you have these 5 items in your closet, you are well prepared to face the cold (and look fabulous while doing it). What say you? What would you add to the list? Do you have all of these? Bomber Jackets for the Winter? Oh Yes, and Here Are 12 Fly Ones! The Must Have Plus Size Winter Coats You Want To Rock Now!